Amulets of farming are used to monitor the state of Farming allotment or flower patches, with the exception of the vine flower patch and herb patch. All amulets of farming that a player has are bound to the same allotment or flower patch at a time. If the state of the patch to which the amulet is bound changes while the amulet is worn, it will hum. This should allow the wearer to detect when the patch is diseased or fully grown. This only works if the wearer is logged on at the time. Alternatively, the player can "Rub" the amulet to check the status of the patch. The amulet starts with 8 charges. Once all the charges have been used up, the amulet is destroyed. Every time the player "Rubs" the amulet, it will use up one charge. You can rub the amulet without using a charge up if you don't go to the second part of the conversation where the amulet tells you how the allotment or flower patches is going. On the other hand, the humming effect does not consume any charges. 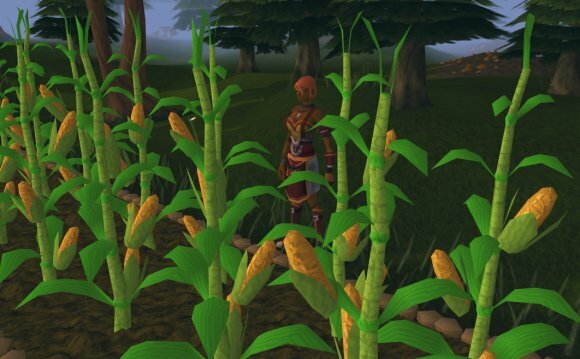 Get 99 Farming while making profit!